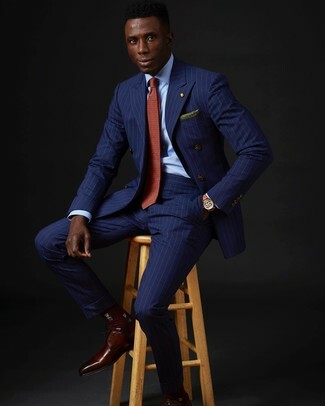 Pairing a blue vertical striped double breasted blazer with blue vertical striped dress pants is a smart choice for a sharp and sophisticated ensemble. Complement your outfit with Dolce & Gabbana Classic Derby Shoes and the whole outfit will come together. 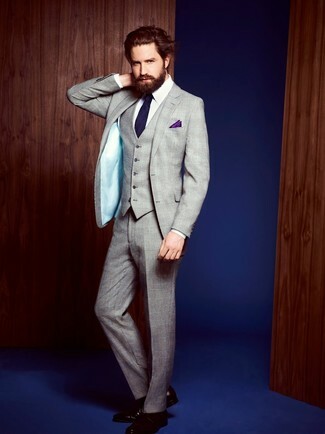 Try teaming a grey plaid three piece suit with a white dress shirt for incredibly stylish attire. Mix things up by wearing Dolce & Gabbana classic derby shoes. 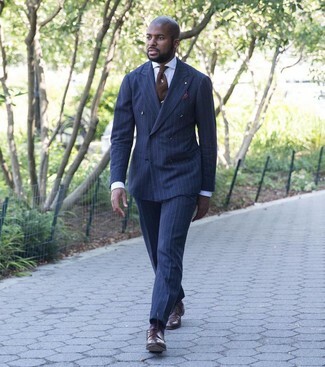 Opt for a navy vertical striped suit and a light blue vertical striped dress shirt for a sharp classy look. 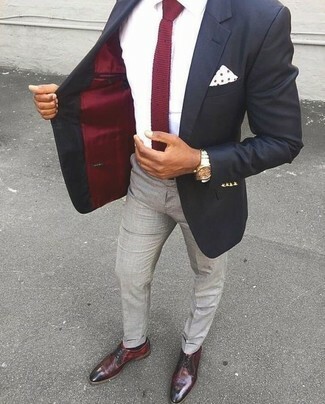 For something more on the daring side to complement this look, grab a pair of Dolce & Gabbana burgundy leather derby shoes. This pairing of a navy blazer and pink chinos is super easy to make up without a second thought, helping you look sharp and ready for anything without spending a ton of time searching through your collection. 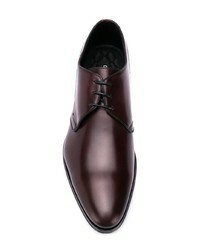 Sporting a pair of burgundy leather derby shoes is a simple way to add some flair to your getup. 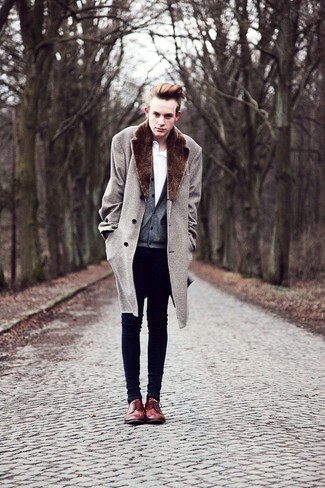 If you're in search of a casual yet sharp getup, marry a beige fur collar coat with navy skinny jeans. 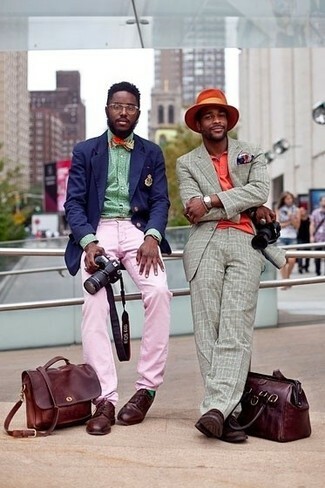 Both items are very comfortable and they also look great when worn together. 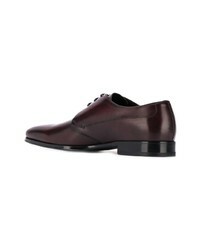 Add a glam twist to your ensemble with Dolce & Gabbana burgundy leather derby shoes. If you're after a casual yet sharp look, pair a grey shawl cardigan with navy jeans. These two pieces are super comfy and look great when worn together. Elevate this outfit with burgundy leather derby shoes. 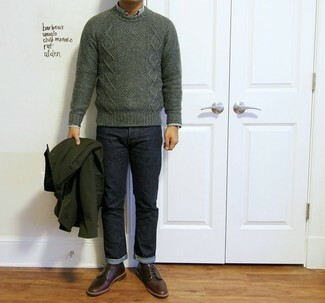 If you're on the hunt for a casual yet dapper look, make a dark green cable sweater and navy jeans your outfit choice. As well as totally comfortable, these two pieces look incredible paired together. 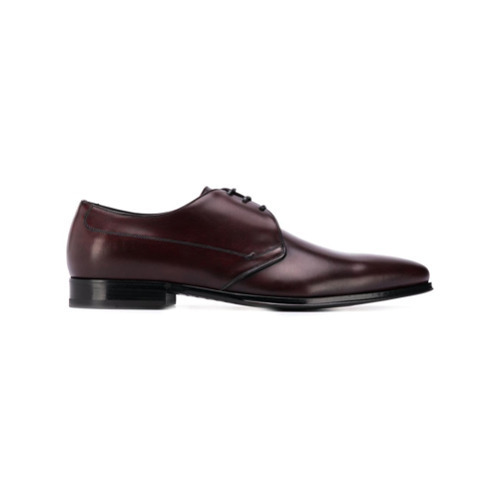 Channel your inner Ryan Gosling and throw in a pair of Dolce & Gabbana burgundy leather derby shoes to class up your getup. This combo of a navy shawl cardigan and khaki chinos is so easy to pull together in no time, helping you look seriously stylish and ready for anything without spending too much time combing through your closet. Amp up the cool of your outfit by complementing it with Dolce & Gabbana classic derby shoes. Go for a black blazer and grey dress pants for incredibly stylish attire. 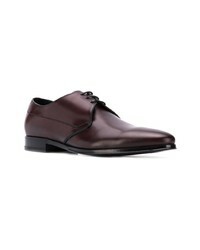 Opt for a pair of Dolce & Gabbana burgundy leather derby shoes to make the look current.